In Mid-December, Senior Fire Liaison Doug Lannon and I spent a few days surveying the damage from the Woolsey Fire. We toured the 16 mile long fire area with the aim of digesting the fire’s destructive path from a fire behavior and investigative perspective. We were fortunate enough to gain access to a wide range of properties with a range of extent of impact from Bell Canyon all the way to homes right above the Malibu Coast. After a few days of surveying, a familiar story unfolded, yet another destructive and uncontrollable wind-driven Santa Ana fire in California. As Santa Ana season began, we pointed out how large and destructive fires are historically aligned with these fall weather events across the state. 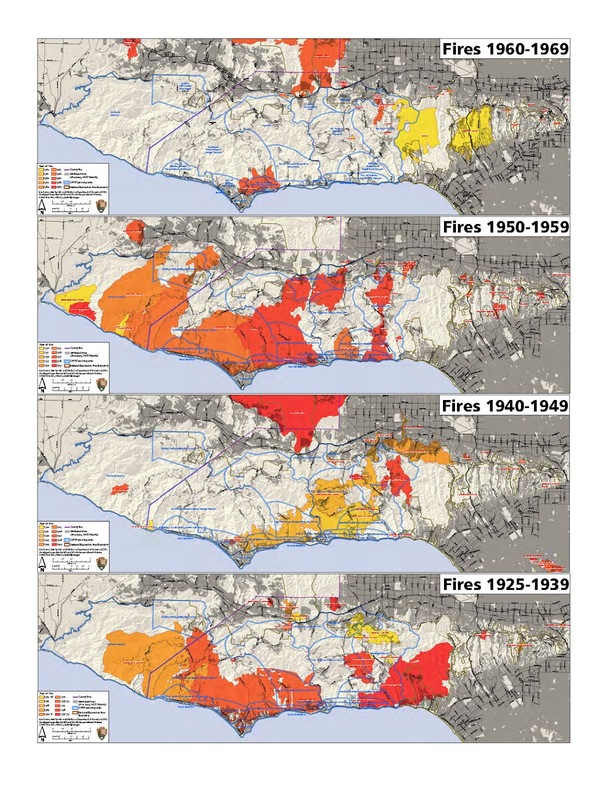 The Woolsey Fire happened in a location conducive for maximum growth; an area with little recent fire history (but history of fire going back to the 1930s) and only the beach to stop it. To our wildfire expert Doug, who has been fighting fire in CA since he was a teenager, this event comes as no surprise. Fall fires have been, and always will be, a part of the climate and geography of California. What we did find as a surprise was the evidence left behind of how many homes burned while many of their neighbors did not. Doug and I took this opportunity to compare what RedZone sees in our risk data, hears from our colleagues at conferences, and what’s being said about these logistical nightmare fires. Firefighters (whether paid, volunteer, or private) saved homes. Embers, ground fires, smoldering fires were put out by someone in several areas. Urban Islands and Canyons across Malibu had fuel conducive for starts and were major contributing factor for damage due to proximity to structures. Amount of Privacy Vegetation on properties may have contributed to fuel bed, served as ladder fuels to structures. State code and/or insurance brush requirements for defensible space saved homes.